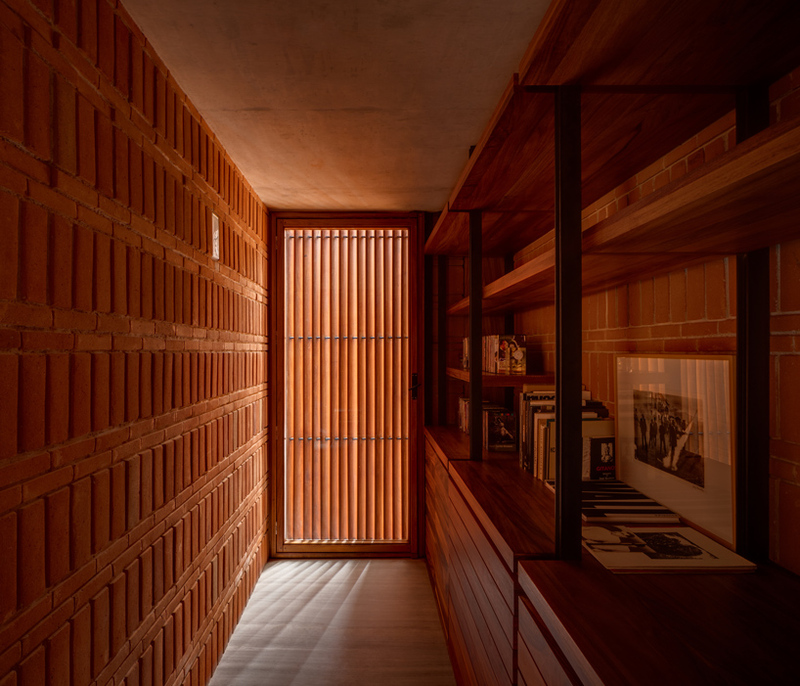 just a few steps from the home of renowned photographer graciela iturbide, mexico-based architects mauricio rocha and gabriela carrillo complete the ‘iturbide studio’. 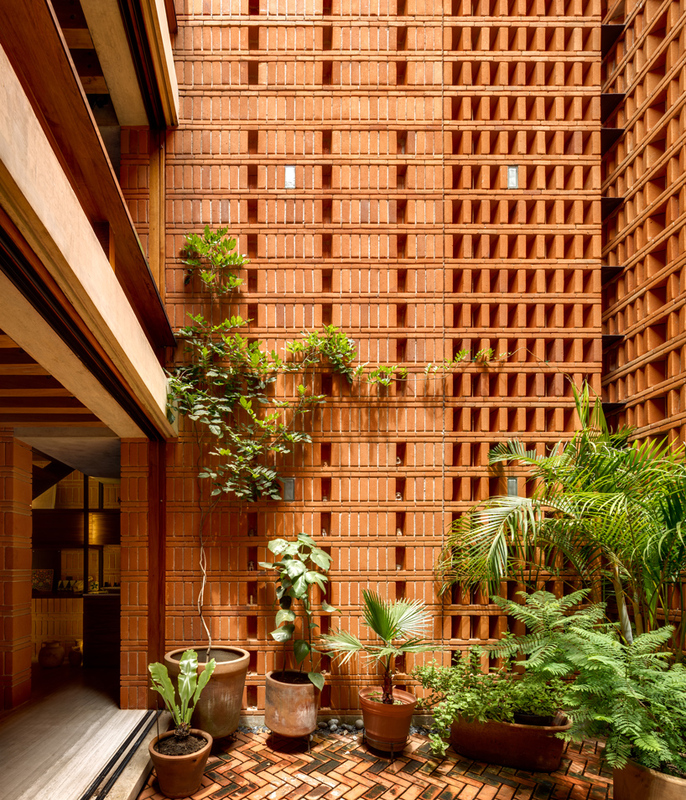 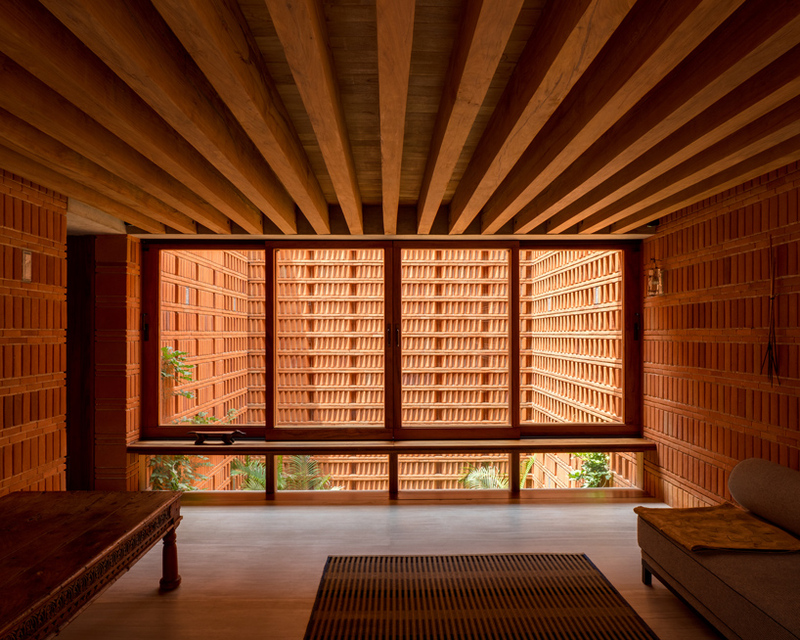 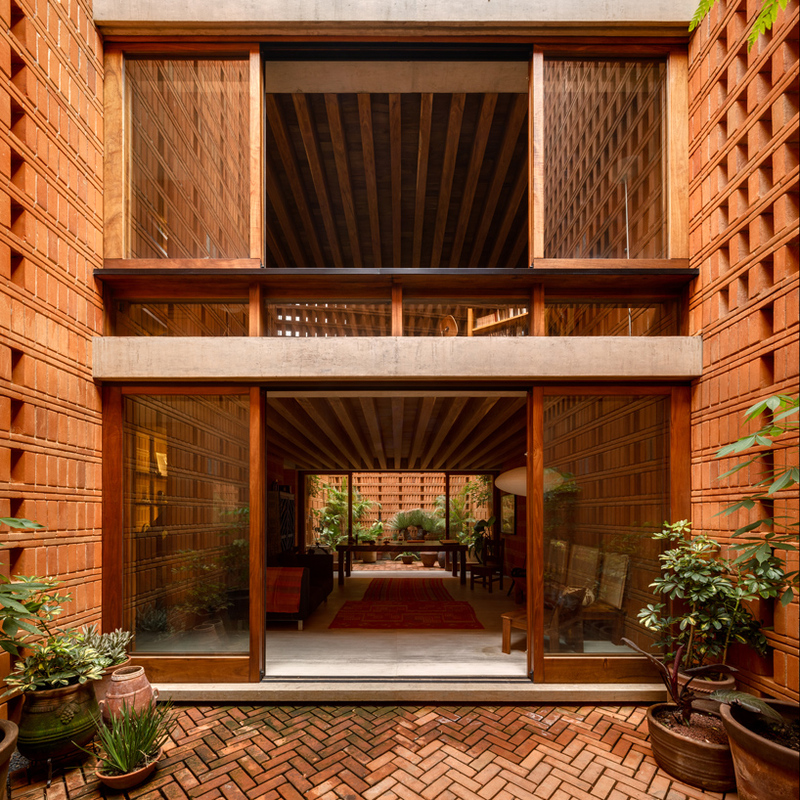 the project serves as a photography studio for the mexican artist and takes the form of a small, three-level tower, characterized most notably by its materiality of ubiquitous, rhythmic brickwork. 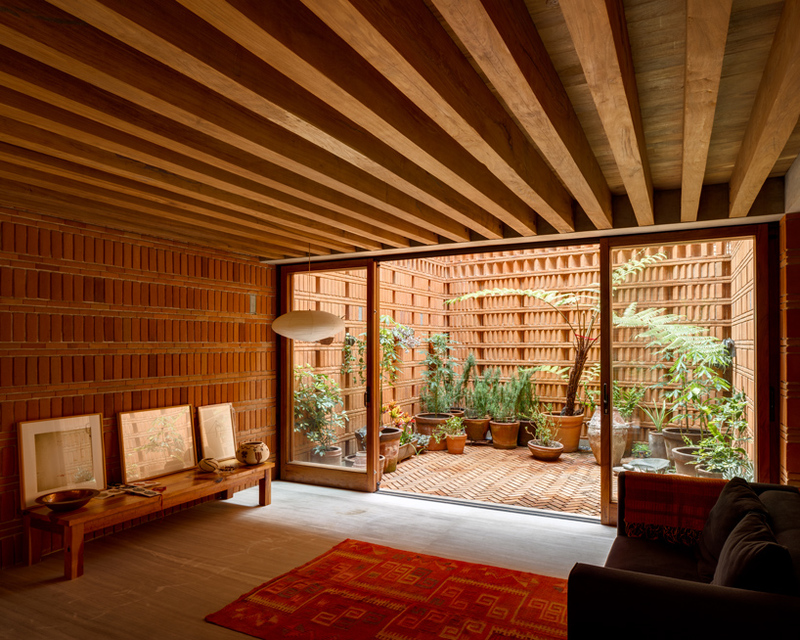 the conditioned, centralized space is flanked on either side by open-air patios, laterally enclosed by brickwork walls which extend to the full height of the studio. 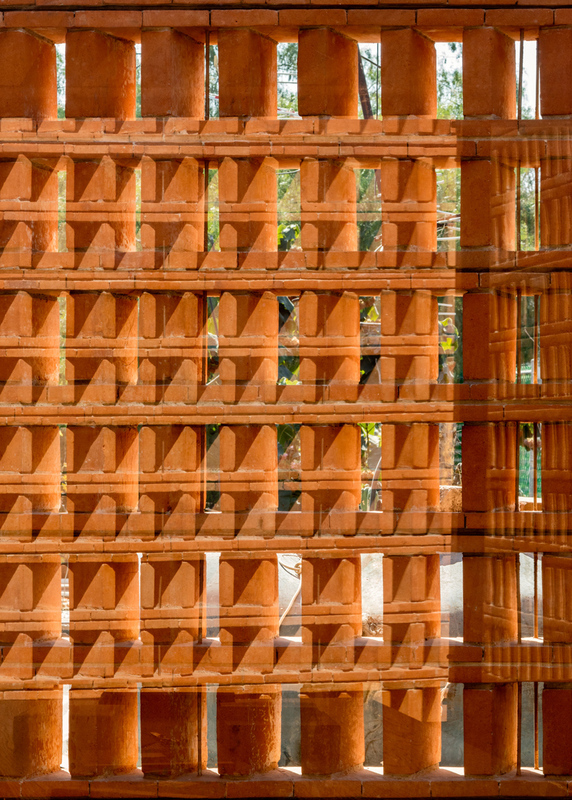 taller sought for the project to demonstrate a repetitive and almost obsessive use of a singular material. 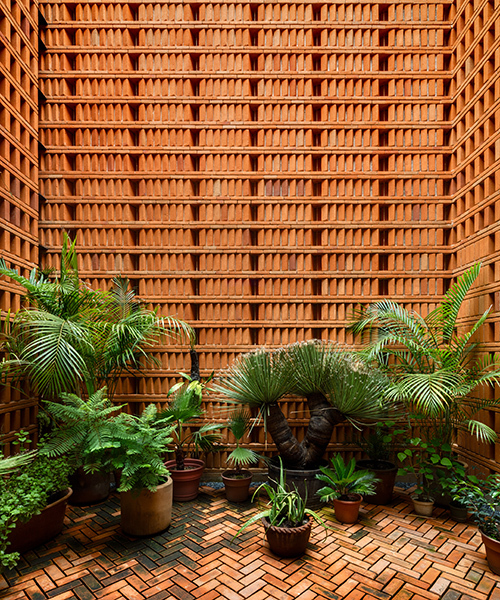 TALLER | mauricio rocha + gabriela carrillo made use of the interior facades of the studio for graciela iturbide to subtly insinuate the condition of the patio walls. 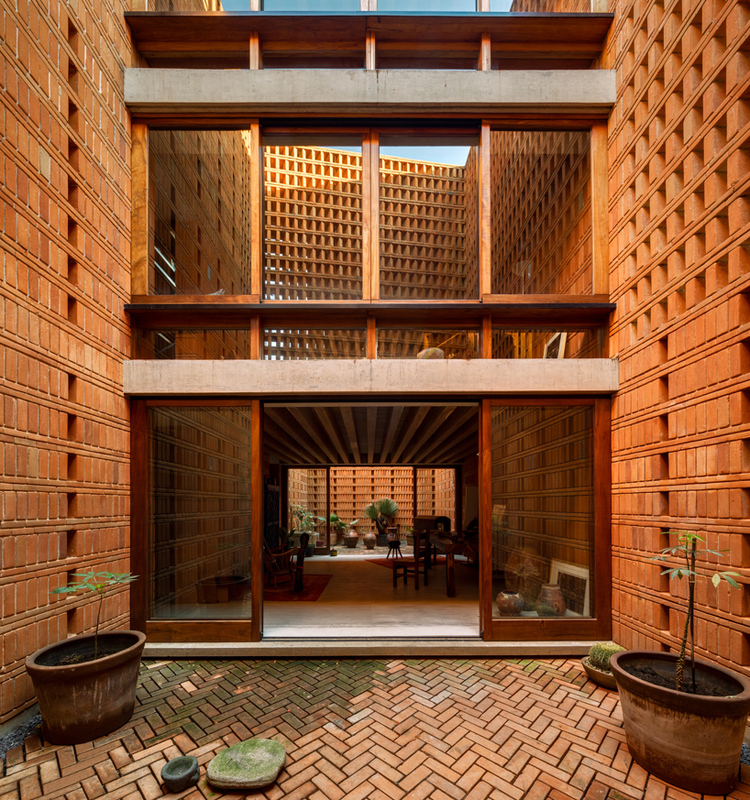 the brick units of these exterior patio walls are laid both vertically and horizontally in alternation, allowing through a rhythmic patterning of light and shadow. 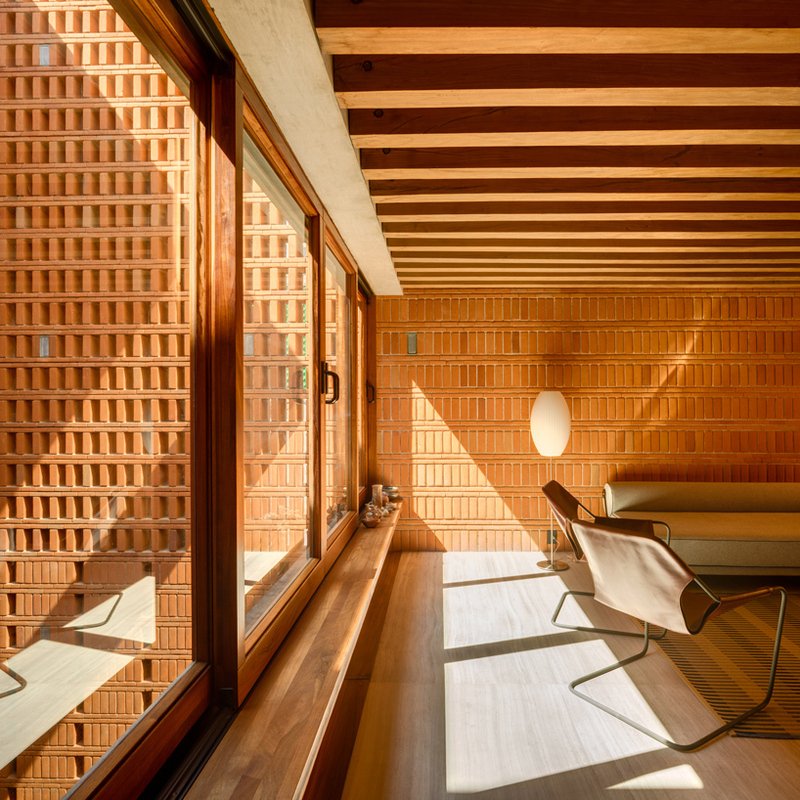 without interstitial apertures, the interior walls echo this directional patterning. 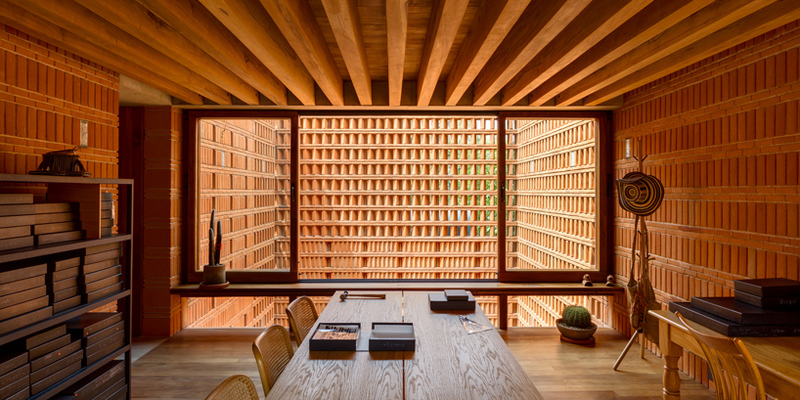 the interior ceilings comprise an array of wooden beams which elongate the space and force perspective. 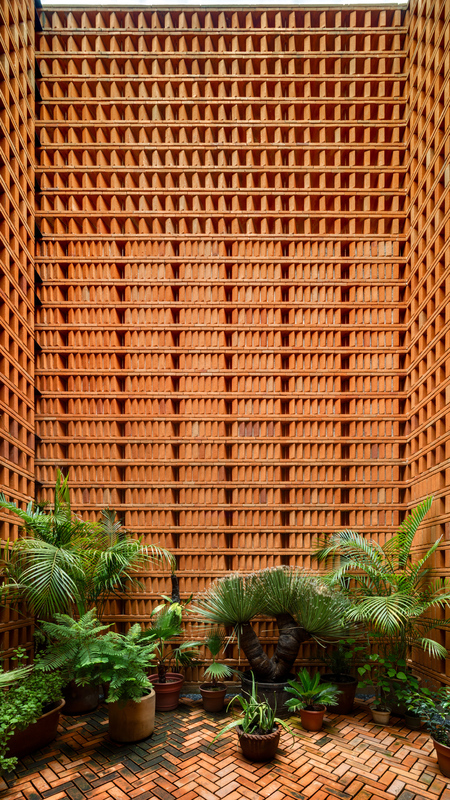 a narrow lateral core consolidates the services and circulatory space, enabling these programmatic elements to disappear within the clay volume.